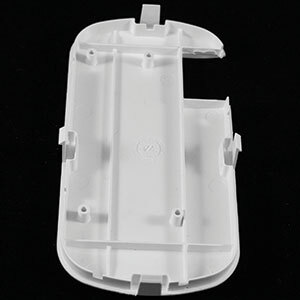 Acrylonitrile-Butadiene-Styrene (ABS) is an amorphous polymer with good impact strength and excellent appearance. 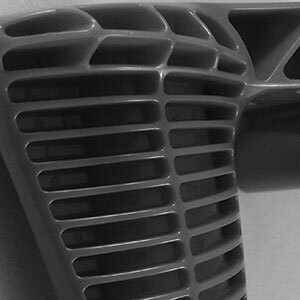 It is easy to process and is widely used for computer housings, small appliances, automotive interior trim, and medical components. ABS has poor chemical resistance. 4LAC® is the registered trade name for Acrylonitrile-Butadiene-Styrene (ABS) compounds produced by 4PLAS. We offer a versatile and all-round cost effective product group, used across a broad range of industries and applications. Many standard grades are available ex-stock with short manufacturing lead-times for customer specific products. 4LAC® grades are supplied in pellet form and packed in moisture proof 25kg bags. Other forms of packaging such as octabins and big-bags are also available. 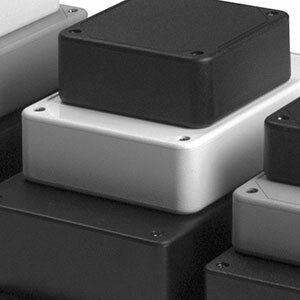 For ABS compounds, moisture content should be less than 0.10% before processing. Pre-drying is not usually necessary if using a vented barrel. Otherwise 4LAC® grades should be dried at 80°C for 2 to 4 hours. Flame retardant grades should be dried at 80°C for 3 to 4 hours in desiccant driers prior to processing. ABS is slightly hygroscopic and will absorb moisture from the environment, materials stored in open packs or containers should be dried at 80°C for a minimum of 2 hours. Temperatures above 95°C will result in discolouration and over drying can cause processing problems. 4LAC® compounds can be processed on all commercial injection moulding machinery. It is necessary to have precise temperature control for processing ABS compounds. The temperature of the nozzle is also very important in order to avoid thermal loss or overheating. Under normal conditions 4LAC® is not a toxic or hazardous material. During processing preventative action should be taken to avoid direct contact with the polymer melt or inhalation of any gases produced. Processing temperatures above 320°C should be avoided. Detailed safety information can be found in our material safety data sheets (MSDS).